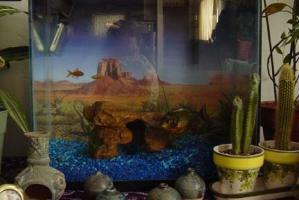 We had to move Yngwie into a bigger tank. I love how the fish look like they're flying in the sky of the background. They are the survivors among the 15 we put in there this morning.